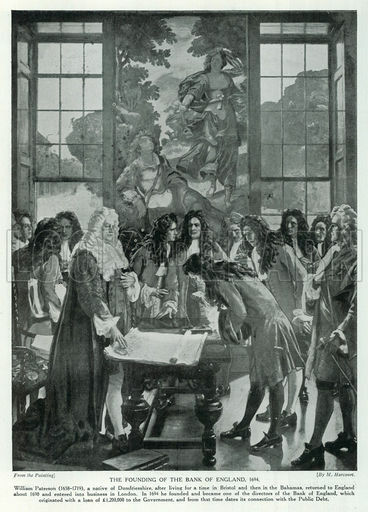 On this date in 1694 the Bank of England, formally the Governor and Company of the Bank of England, received its royal charter. It is the central bank of the United Kingdom and the model on which most modern central banks have been based. It is the second oldest central bank in operation today, after the Sveriges Riksbank and the world’s 8th oldest bank. It was established to act as the English government’s banker and is still one of the bankers for the government of the United Kingdom. The Bank’s headquarters has been in London’s main financial district, the City of London, on Threadneedle Street, since 1734. It is sometimes known by the metonym The Old Lady of Threadneedle Street or The Old Lady, a name taken from the legend of Sarah Whitehead, whose ghost is said to haunt the Bank’s garden. The busy road junction outside is known as Bank junction. 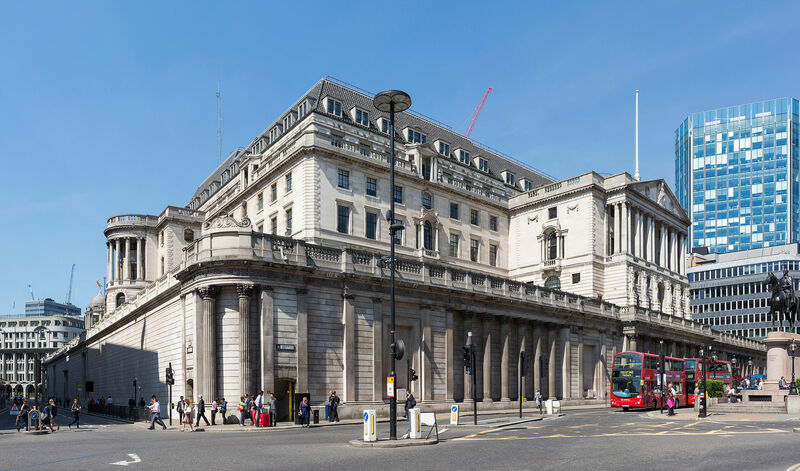 As a regulator and central bank, the Bank of England has not offered consumer banking services for many years, but it still does manage a few public services such as exchanging superseded bank notes. Until 2016, the bank provided personal banking services as a popular privilege for employees. England’s crushing defeat by France, the dominant naval power, in naval engagements culminating in the 1690 Battle of Beachy Head, became the catalyst for England’s rebuilding itself as a global power. England determined to build a powerful navy but no public funds were available, and the credit of William III’s government was so low in London that it was impossible for it to borrow the £1,200,000 (at 8% p.a.) that the government wanted. To induce subscription to the loan, the subscribers were to be incorporated under the name of the “Governor and Company of the Bank of England”. The Bank was given exclusive possession of the government’s balances, and was the only limited-liability corporation allowed to issue bank notes. The lenders would give the government cash in bullion and issue notes against the government bonds, which could be lent again. £1.2m was raised in 12 days; half of this was used to rebuild the navy. As a side effect, the huge industrial effort needed, (including establishing ironworks to make more nails for shipbuilding and advances in agriculture to ensure stable food supplies) quadrupled the strength of the navy, and started to transform the economy – resulting ultimately in the 18th and 19th century agrarian and industrial revolutions (concomitant with the 17th century scientific revolutions). This helped the new Kingdom of Great Britain – England and Scotland were formally united in 1707 – to become globally powerful, with the power of the new navy making Britain the dominant world power in the late 18th and early 19th centuries. There are many lessons to be learnt here; not all of them good ones. Financial and military strength yield strong dividends – especially for the rich minority – but they are not necessarily good for the majority, at home or abroad. 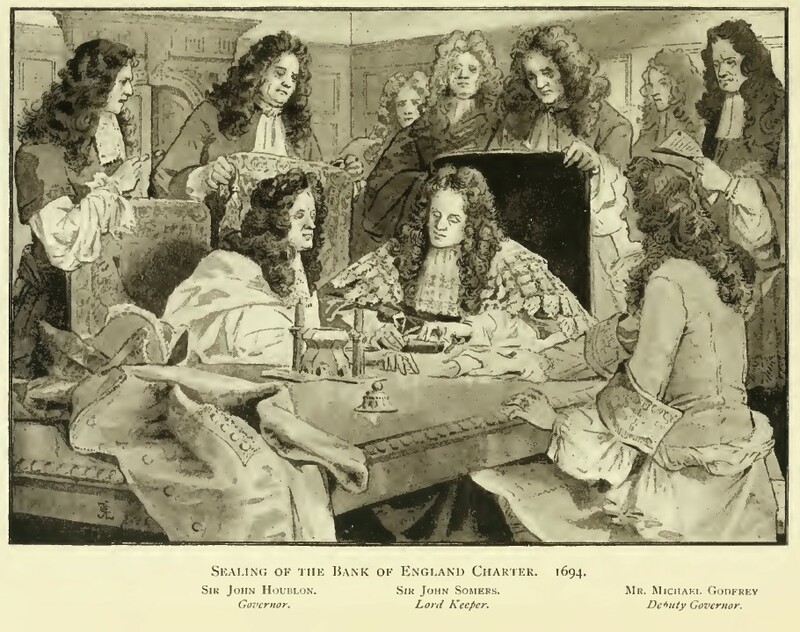 The establishment of a government bank was devised by Charles Montagu, 1st Earl of Halifax, in 1694. The “plan of 1691”, to float a loan and create a national bank, had been proposed by William Paterson three years before, but had not then been acted upon. Also, 28 years earlier, in 1636, Chief Financier to the king, Philip Burlamachi, had proposed exactly the same idea in a letter addressed to Sir Francis Windebank. He proposed a loan of £1.2m to the government. In return the subscribers would be incorporated as The Governor and Company of the Bank of England with long-term banking privileges including the issue of notes. The Royal Charter was granted on 27 July through the passage of the Tonnage Act 1694. Public finances were in such dire condition at the time that the terms of the loan were that it was to be serviced at a rate of 8% per annum, and there was also a service charge of £4,000 per annum for the management of the loan. The first governor was Sir John Houblon, who is depicted on the £50 note issued in 1994. The charter was renewed in 1742, 1764, and 1781. 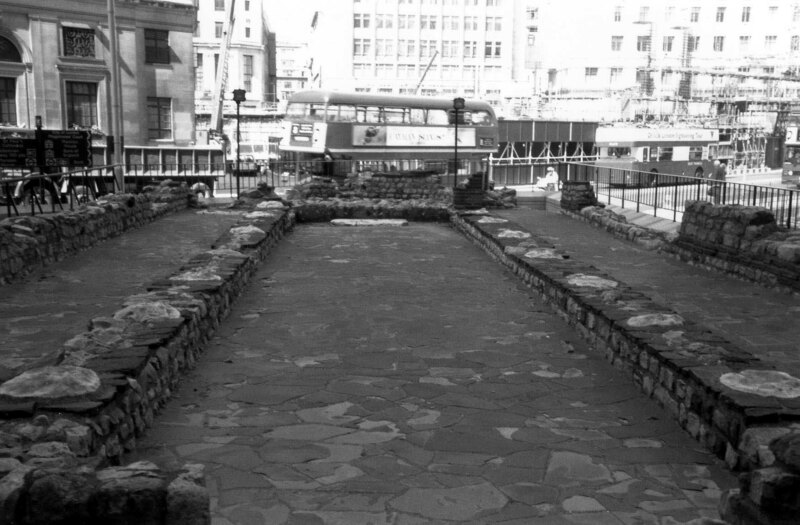 The Bank’s original home was in Walbrook, a street in the City of London, where during reconstruction efforts in 1954 archaeologists found the remains of a Roman temple to Mithras who, among other things, was (ironically) the Roman god of contracts !! The Mithraeum ruins are some of the most famous of all 20th-century Roman discoveries in the City of London and can be viewed by the public. 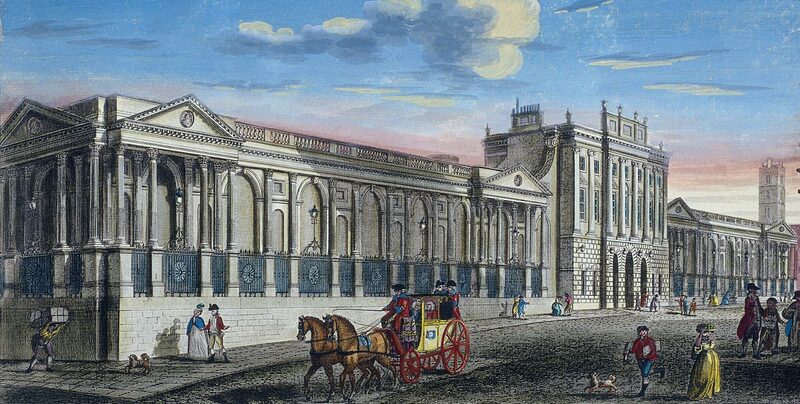 The Bank moved to its current location in Threadneedle Street in 1734, and thereafter slowly acquired neighboring land to create the grand edifice seen today. Sir Herbert Baker’s rebuilding of the Bank, demolishing most of Sir John Soane’s earlier building, was described by architectural historian Nikolaus Pevsner as “the greatest architectural crime, in the City of London, of the twentieth century.” Given that 19th century London architecture is not much to write home about, I’ll demur on that one. Something 17th century and green strikes me as a suitable dish du jour even though the color green is not especially dominant in English banknotes. Early notes were white, and, with the introduction of color, Bank of England notes have always been different colors and different sizes, unlike their US counterparts which have typically been green (and the same size) practically since their inception. Perhaps because of the style of US notes, however, “green” has always been a metonym for “money” so why not? Here’s a 17th century recipe for crystallized green apples taken from A Daily Exercise for Ladies and Gentlewomen (1617) which I offer as is. I don’t have a kitchen here in Myanmar, so I have no chance to experiment, and the wording is a little vague. What I envisage is that you peel and core the apples but then boil the peel and apple meat together until you have a green pulp. 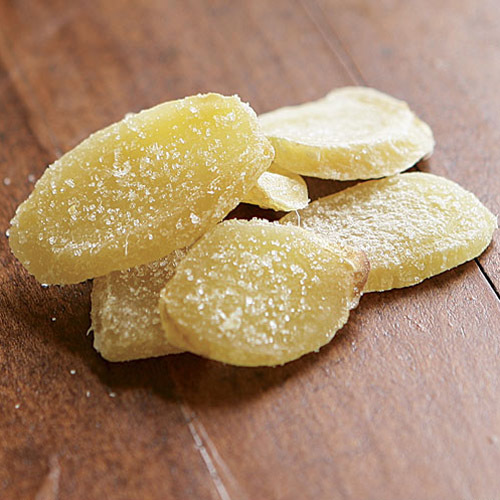 Strain out the pulp. Weigh the resultant apple mush and boil the equivalent weight of sugar with a little water until it reaches about 130˚C or higher. I don’t know exactly what “Candie height” means; it could be higher. Add the pulp to the sugar and keep boiling until the whole sits at around 140˚C. The spread it on a marble slab, let cool, and cut into squares. To make an excellent greene Paste without any colouring. Qvoddle greene Apples reasonably tender, pill off the outward skinne, and throw all the barke of the Apples into a Posnet of seething water, and so let it boile as fast as it can vntill it turne greene, then take them vp and straine the pulp, then boile the weight of it in Sugar to a Candie height, and put your pulp into the seething Sugar, and let it boile vntill it grow stiffe, then fashion it on a pie-plate, or a sheete of glasse, and pint it on mowlds, and drie it in a Stoue or a warm Ouen some tenne or twelue dayes, that it be perfectly drie, and then you may keepe it all the yeere.